I think I need to change my tagline on this site. 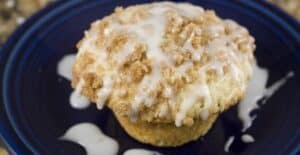 Simple ans delicious coffee cake muffins with a sweet streusel center and topping. These muffins are the perfect way to start the day! 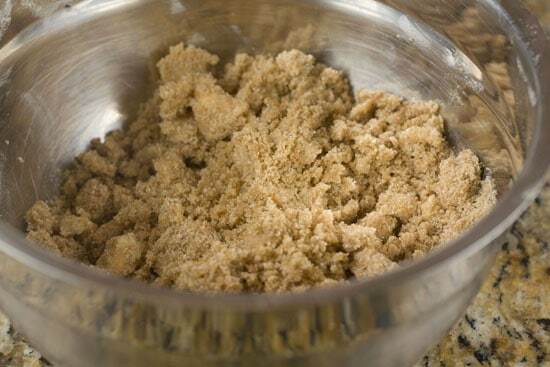 1) For Streusel, mash together ingredients in a small bowl until it is in small crumbs. Set aside until later. Also, preheat oven to 350 degrees. 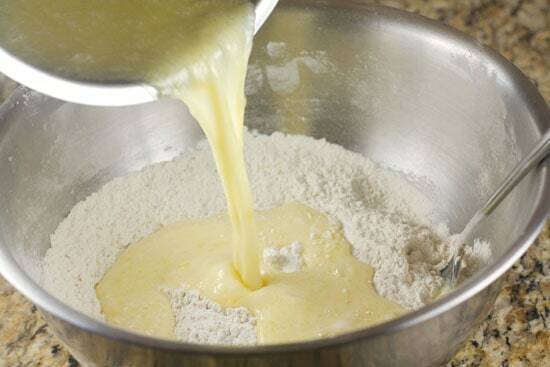 2) Mix together dry ingredients in a large bowl for batter. 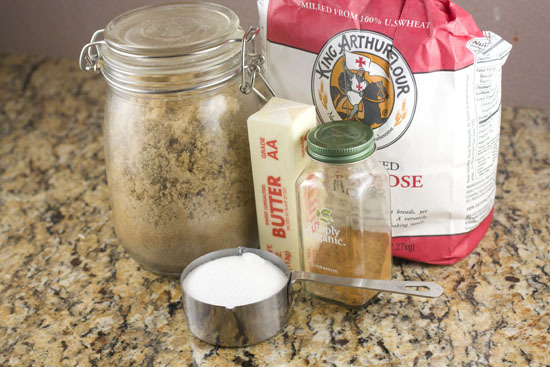 Mix together wet ingredients in a separate bowl including melted butter. 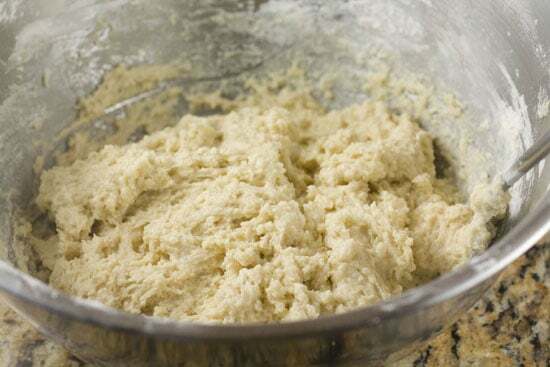 3) Stir together wet and dry ingredients to form a thick batter. 4) Butter muffin tins and spoon batter into each tin. Fill each tin 1/3-1/2 full. You should fill 10 tins and use about half of the batter. 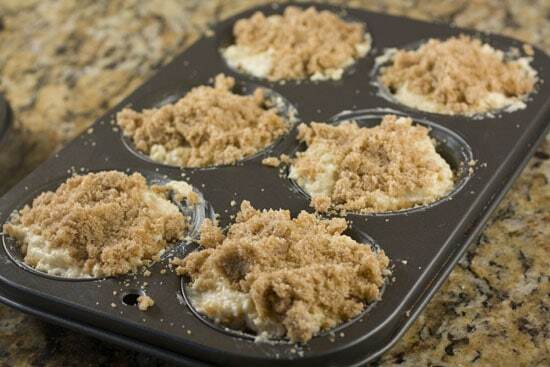 5) Pack a spoonful of streusel onto each muffin. You should use half of the streusel. 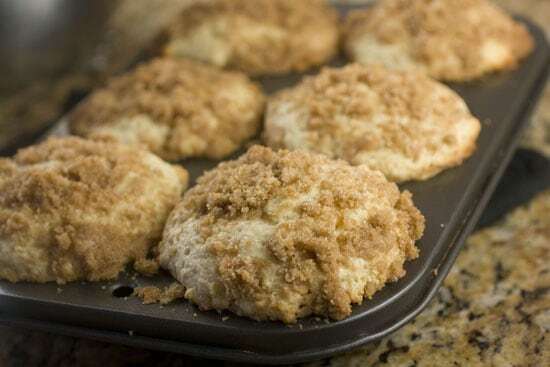 6) Top streusel with the rest of the batter. Then add the final 1/2 of the streusel to the muffins. It’s okay if they overflow a bit out of the muffin tins. 7) Bake muffins for 15-20 minutes at 350 degrees until they a tester comes out dry. 8) For icing, whisk together milk and powdered sugar. 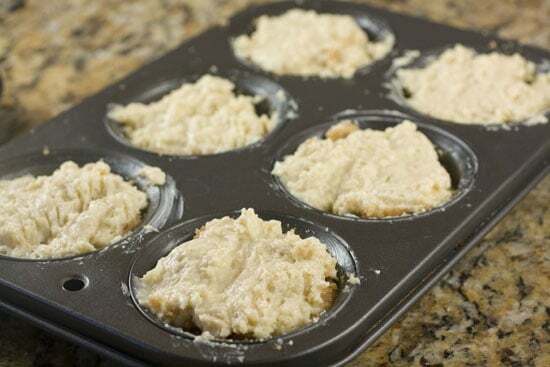 9) Let muffins cool for a few minutes and then remove them from tin. Let them cool for another 10 minutes and then drizzle on icing. 10) Serve immediately or store in an airtight container. Let’s be real… the best thing about any coffee cake is the streusel. 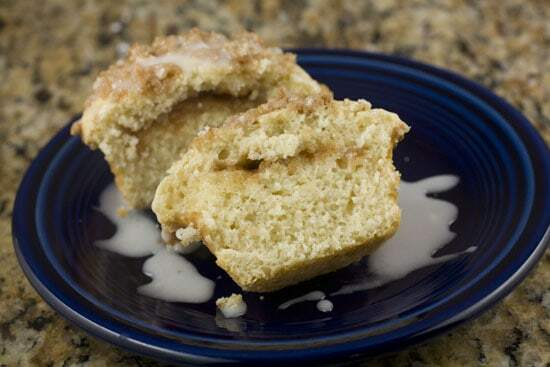 Really, the coffee cake is just a delivery system for streusel. So don’t go light on it! You might think that this is more streusel than you would need, but that means that you aren’t using enough. You should use every single morsel for these muffins. To make the streusel, just mash together all the ingredients in a bowl. Try not to eat it all. This is a really simple coffee cake batter. Basically just stir together your dry ingredients in a large bowl and your wet ingredients in a smaller bowl. Then stir the two together. Doesn’t get much easier than that! The wet and the dry. This dough should be pretty thick. It should be so thick that you can’t really pour it. You’ll need a spoon to scoop it into the muffin cups. That said, if the dough looks dry then add a bit more milk. This looks about right. I’m calling these muffins because A) they don’t have a frosting and B) they don’t have cupcake papers around them. That’s really the only thing that makes them muffins instead of cupcakes! Plus, if you call them muffins, you can eat them for breakfast. This recipe will make ten large muffins. You could make them a bit smaller and get a full dozen out of it if you wanted. Most importantly, make sure you butter or lightly oil your cupcake tins. You don’t want these guys sticking at all. 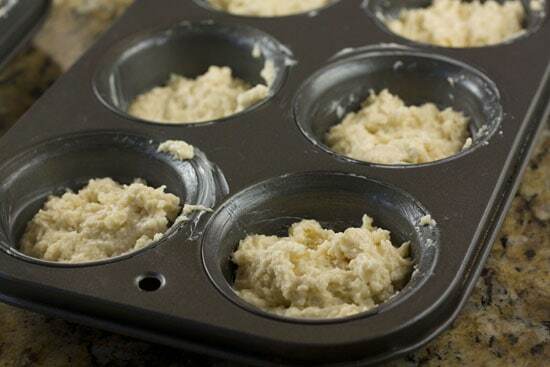 Add a large spoonful of batter to each muffin tin. It should fill up the tin about 1/3-1/2 of the way. You should use half of your batter for this bottom layer. Then pack on a good amount of the streusel. You should use about half of your streusel for this step. Then add the rest of your batter to the top of the streusel. Don’t worry if you don’t cover up the streusel entirely. It doesn’t really matter. 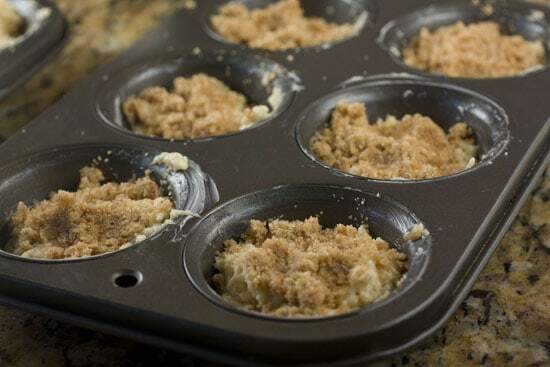 Finally, top each muffin with another generous spoonful of streusel. It’s completely okay to fill these guys to the brim. Mine were even overflowing a bit. This is fine because these won’t expand a huge amount as they bake. Bake these guys at 350 degrees for 15-20 minutes. A tester should come out dry from the center of one. Let them cool for a few minutes and then you can easily lift them out of the tins (assuming you buttered them well). This is an optional step. The muffins are plenty good as-is, but if you want to jazz them up a bit, just whisk together some milk and powdered sugar to make a quick icing. Drizzle that over all of the muffins and you’ll be all set. I cut into one of mine just so you could see the layers. These Coffee Cake Muffins would be perfect for a brunch or to bring into work because everyone gets their own individual cupcake. Mmmmmm….struesel. Definitely going to be making these to freeze up for breakfasts on the run. Thanks! These look very similar to a blueberry muffin recipe I make–and yes, the key is to pile on the streusel! I haven’t tried it with a glaze though; I’ll definitely have to try that! Just made these and they are delicious! Do you think I can double this reciepe for a crowd? Sure. As long as you have the muffin tins for it you can double it without any issue. there’s no coffee in the coffee cake recipe? They’re to eat *with* coffee! Ha. yea.. you’re supposed to eat it with coffee. I did make a coffee cake a few years ago that has actual coffee in it though. I bake often and take the goodies to work – the lunch ladies I work with love and hate me… Probably the same way your Betsey’s officemates feel about you! And you’re right, you just have to load it with that yummy topping! You Americans with your coffee cakes with no coffee in them! In Australia when we say coffee cake, we mean COFFEE cake. As in, tastes like coffee. What if I add half the Streusel to the mix? The rest on top? Hey Pamela, I think it works better in layers so the cake stays the right consistency. So do a layer of cake, then a layer of streusel, then the final bit of cake and top it with streusel. I just made these with my nine year old daughter. All I can say is that this recipe is now a permanent part of my muffin repertoire. So glad I found it! Have you ever tried to make these in mini muffin size? No, but I think it would be pretty tough to fit the layers in the tiny little things… I’d just stick with the normal size. Good luck! These look great…going to make now as a thank you for help with Hurricane sandy…have you tried as a cake? Thinking of what bake time might be, although may just wing it. You could definitely bake it as a cake! I think it would probably fit in an 8×8 baking dish. Bake it at the same temp (350) but it will need longer to bake for sure… probably at least 30 minutes but maybe even longer. Just test it occasionally until the center is baked. Good luck! Hey Kairi, that should work fine. To be honest, it sounds like maybe your oven isn’t baking at an accurate temperature. Do you have an oven thermometer to test it out? Huge hit in the house today on this cold early morning!